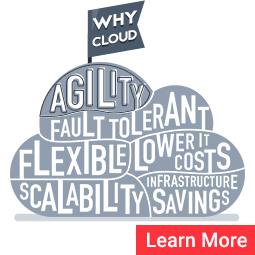 Leverage The Scalability And Flexibility Of The Cloud. Lower IT Costs With Customized IaaS Solutions. Offering Customized Cloud, Dedicated & Colocated Solutions. Reliable Colocation You Can Trust With The Connectivity You Need. A Partnership Approach To Delivering Unique Managed Services. Guaranteed, High Availability Bandwidth. 100% Uptime SLA. We provide Enterprise-grade, highly certified, audited and compliant Infrastructure as a Service (IaaS) Solutions. Our service array encompasses colocation, IP transit, a global Content Delivery Network, server and network hardware provisioning and support, private cloud computing, and numerous managed services, provided out of our multiple geographically-dispersed, 24x7x365 engineer staffed world-class data centers and powered by our packet loss-free, low latency coast-to-coast IP backbone. All of our facilities and services adhere to the world’s strictest standards: ISO 27001 (Information Security), ISO 9001 (Quality Management), SSAE-16, ITIL, and numerous others. All our services are backed by the industry’s strongest Service Level Agreement (SLA), not only guaranteeing, but delivering 100% uptime, zero packet loss and ultra low latency, and practically instant response. With The Connectivity You Need.